Performs a variety of law enforcement functions on behalf of the City's Police Department; patrols assigned areas of the City; detects and deters criminal activity; participates in criminal investigations; conducts traffic enforcement duties; provides information and assistance to the public; prepares law enforcement records and documentation; and performs other related duties as assigned. May be assigned to a specialized function or area of responsibility. The job has no supervisory responsibilities. Individual will be performing other duties assigned by supervisor/department head when needed. Applicant will be subject to a complete background investigation. Incomplete, inaccurate and/or failure to report information will cause the applicant rejection from consideration. Applicant must take and pass a drug, physical, and pre-placement screening administered by the City of Penitas doctor at the City’s expense. Must be proficient in working with personal computer, typewriter, and general office equipment and knowledge of Microsoft Word, Excel, and e-mail. Must be able to handle various tasks in spite of interruptions and be able to work well under tight deadlines and stress. Must be able to communicate proficiently in the Spanish and English language. Must be in possession of a neat and professional appearance and demeanor. Must have a current valid Class “C” Texas Driver’s License from the department of Public Safety with no more than two (2) moving violations within the past two (2) years. Ability to establish and maintain effective working relationship with the general public, supervisors, and co-workers. Ability to work effectively and efficiently independent of constant supervision. Ability to perform well in stressful situations. Ability to make decisions based on personal judgment. Ability to perform a wide variety of different types of tasks without the variety itself causing a loss of efficiency. 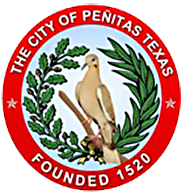 **Resumes and Applications will be accepted online at www.cityofpenitas.com/jobs or in person at 1111 S. Main St, Penitas, TX 78576. Call (956) 583-0050 for further information.